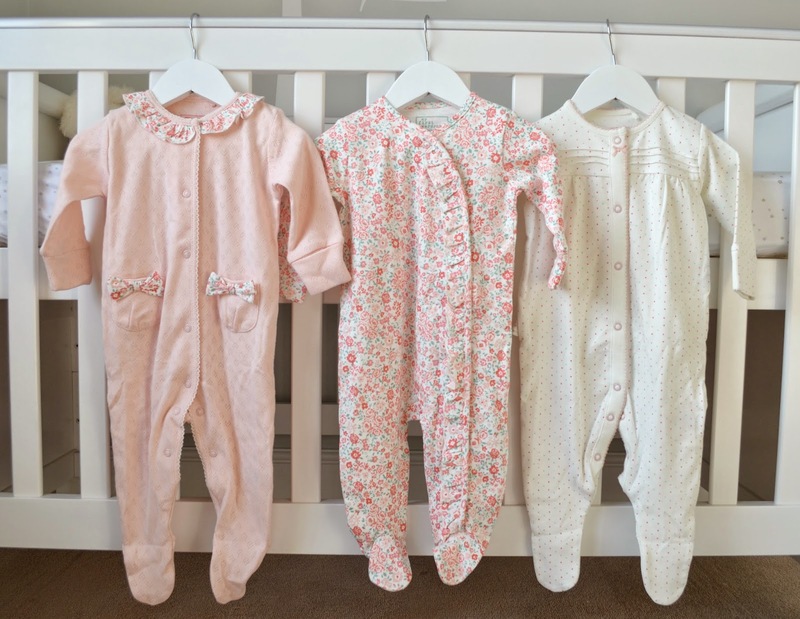 With baby BMB's arrive getting ever closer, I've been starting to get her wardrobe prepped. 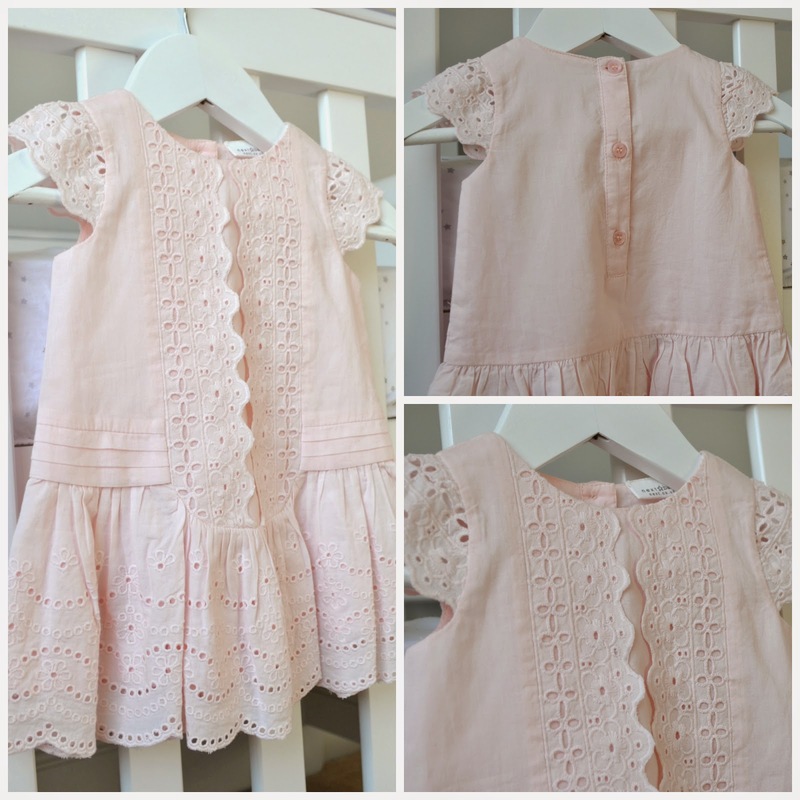 There are so many gorgeous baby girl clothes in the shops, I've been trying to restrain myself. Obviously at this stage I can't comment on the fit or wear of any items, just the cuteness - but I am loving what NEXT has on offer. 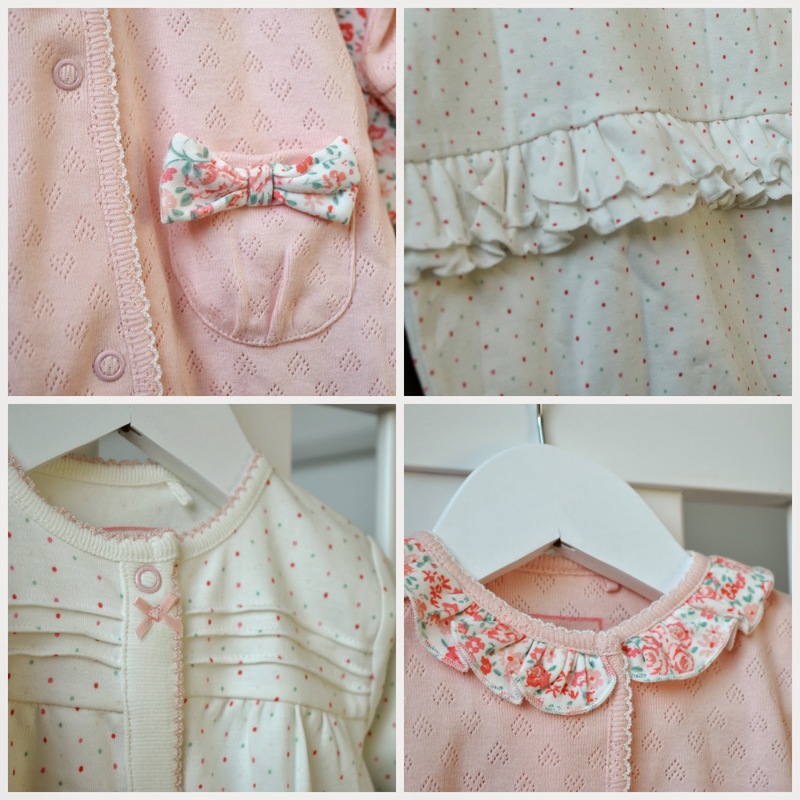 The baby grows in NEXT have so many little details and touches added to them - in this 3 pack (Three Pack Frill Floral Sleepsuits 0mths-2yrs £16-17) there are cute bum ruffles, little bows are pockets that that makes them even more special. 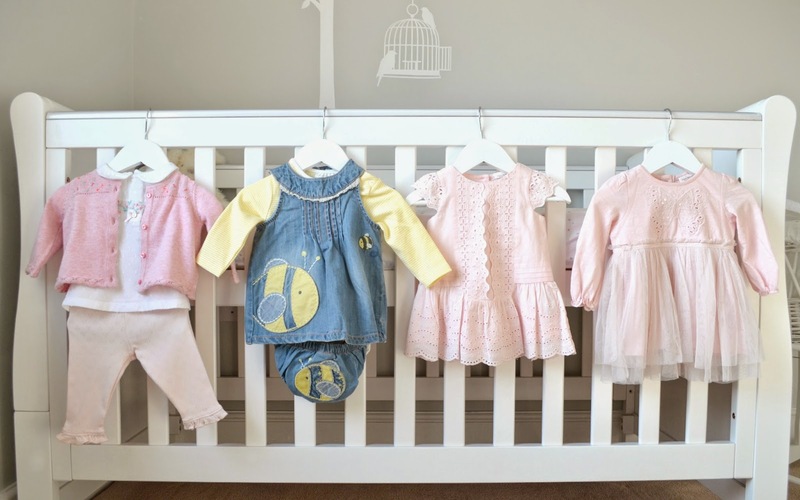 I'm not so keen on baby clothes that are covered with pictures and animals, but I made a massive exception for this cute denim outfit (Denim Bee Three Piece Dress Set 0-18mths £15). 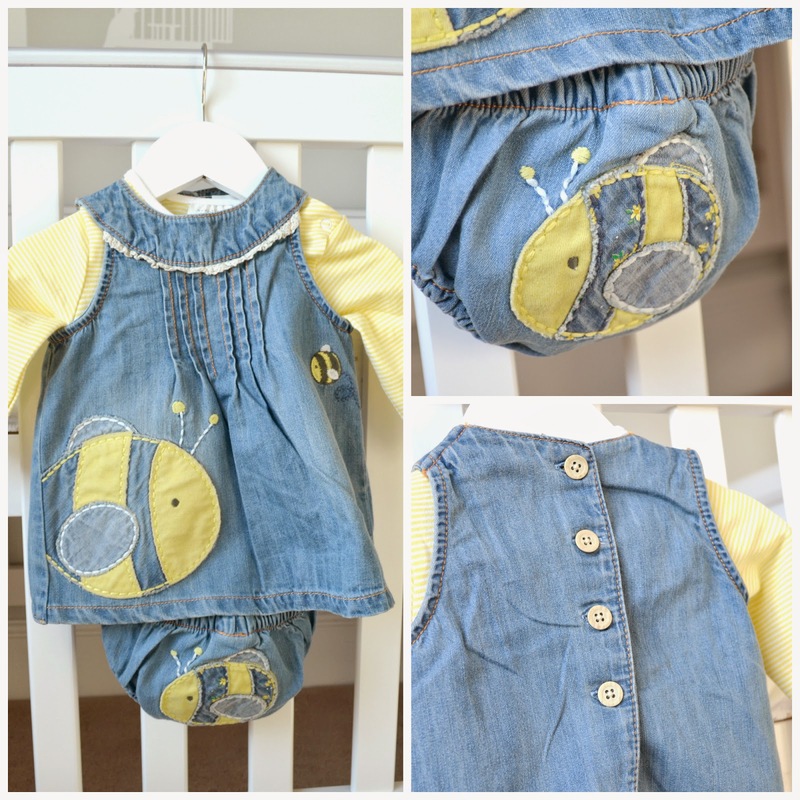 The large bee on the bum is just too cute, and I bet a crawling baby would look adorable with it poking out! 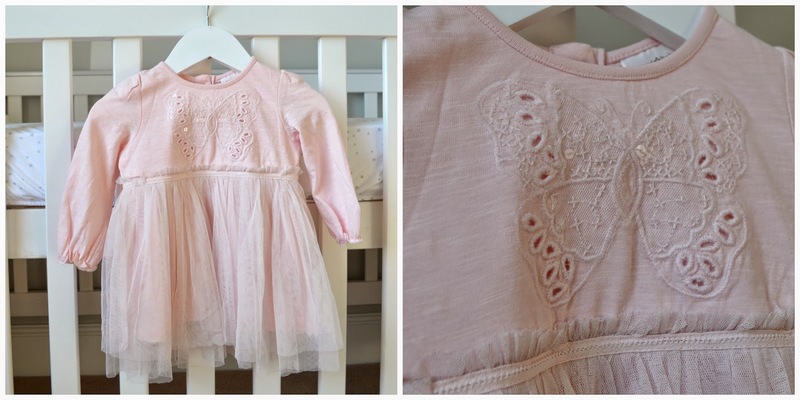 This rosebud legging and blouse combination (Rosebud Set 0-18mths £13) is more my style baby-wise, with the little details really thought through. 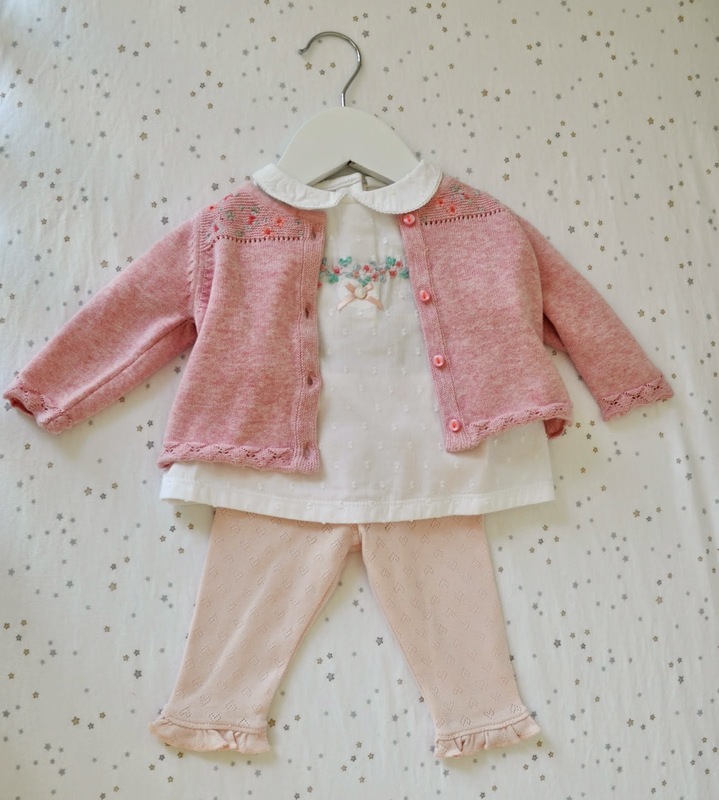 I've teamed it with a rose bud cardi (Rosebud Cardigan 0-18mths £12) to complete the look and keep her cozy.